Davos as a research location looks back at a tradition of more than 100 years. Internationally renowned research institutions have established in Davos, spreading their knowledge to specialists allover the world. All together, there are six scientific institutions in Davos, their fields range from allergies and asthma to osteosynthesis, gastroenterological surgery, snow and avalanche research, radiation and climate research or risk management. Considering the topics covered by our research institutes, it becomes evident that research is closely related to the natural conditions and Davos as a health and tourism destination. Davos has succesfully attracted organizations which exploit the local circumstances in order to foster their research. Since 2006, Academia Raetica acts as the umbrella organisation for the research institutes in Graubünden. It combines twenty nationally and internationally renowned member institutions working in various disciplines and nine partner organisations. Academia Raetica opened its office in Davos in 2009. Davos boasts a significant concentration of research. Academia Raetica promotes the collaboration among its members, represents their concerns and informs policy-makers and the public about the needs of the research location Graubünden. It fulfills a pivotal role by connecting research, business, and industry. A key project of Academia Raetica is the establishment of the Graduate School Graubünden. Based on a performance mandate from the Canton of Graubünden, the Graduate School Graubünden supports doctoral students and post-doctoral researchers in their education, cooperation, and local integration. A memorandum of understanding with ETH Zurich and the University of Zurich defines the cooperation in the area of life sciences. The networking with other universities is projected. In addition, the Gradu-ate School Graubünden is committed to publicising the achievements of young scientists. The activities of the Graduate School Graubünden are intended to enhance the professional qualifi-cations of young researchers and increase the attractiveness of the research location, thus making a scientific, social, and economic contribution to Graubünden and also Davos. The AO Foundation is a medically guided nonprofit organization led by an international group of surgeons specialized in the treatment of trauma and disorders of the musculoskeletal system. Founded in 1958 by 13 visionary surgeons and a foundation since 1984, AO today fosters one of the most extensive networks of currently more than 16,000 surgeons, operating room personnel, and scientists in over 100 countries. Two research institutes within the AO Foundation umbrella are members of Science City Davos. The mission of the AO Research Institute (ARI) is excellence in applied preclinical research and development within trauma and disorders of the musculoskeletal system and translation of this knowledge to achieve more effective patient care worldwide. The AO Research Institute Davos (ARI) was founded by the Association for the Study of Internal Fixation–Arbeitsgemeinschaft für Osteosynthesefragen (AO) on June 18, 1959. At that time it was known as the Laboratory for Experimental Surgery Davos. It was established as a foundation with appropriate statues and bylaws. Contemporary research conducted by ARI aims to solve practical surgical problems dealing with fractures and degenerative conditions. ARI carries out fundamental and practical research work in the fields of bone bio-mechanics, biology for the areas of bone, intervertebral disc and cartilage (including tissue engineering and musculoskeletal infection research) and biomaterials science(degradable polymers and polymer delivery vehicles),. The Institute also works in the areas of smart surgery, including smart implants, smart navigation within the body and smart aids for the operation team and surgeons. All projects work closely with clinicians for clinical guidance and often have clinicians involved in the projects as fellows spending time from 6 months to 1 year at the institute. These projects build the basis for new implant technologies and procedures. The mission of AO Clinical Investigation and Documentation (AOCID) is to provide evidence-based knowledge through independently conducted clinical studies, education and methodological services in order to facilitate clinical decision-making in the fields of trauma and musculoskeletal disorders. The AO began documentation in Davos in 1959. Case documentation became the bedrock for the global acceptance of the AO principles of fracture management. Seeing the need to proactively answer clinical questions, the institute began conducting multicenter clinical trials around the world in the late 1990s. In total, more than 10,000 patients from over 40 different countries have taken part in an AOCID conducted study. AOCID is committed to collecting and delivering accurate, timely and complete clinical trial results. All research activities conform to international clinical research guidelines to ensure high quality services. Clinical investigations and results are non-biased and conducted independently of any third party. AOCID is an institute for clinical excellence. It is the provider of choice for clinical research for the AO Community and selected external industrial partners. Using different types of registries to draw in researchers from around the world as well as offering unique educational possibilities in clinical research round off AOCID's portfolio of services. In July 2009, the Kühne Foundation has launched the Christine Kühne – Center for Allergy Research and Education (CK-CARE), with locations in Davos, Munich, and St.Gallen. The main pillars of this initiative are highly qualified and well-connected research work in the field of allergies and education of medical professionals based on recent findings. With the establishment of CK-CARE, one of Europe's largest private initiatives in the field of allergy was launched. After a successful external evaluation by international experts of the services provided and an internationally validated development of the project, the initiative was expanded to the locations of Bonn, Augsburg and Zürich and extended in 2014 for another five years. With the launch of the "Allergy Campus Campus" for patient care, research, and education in Davos Wolfgang, in 2014 a new era has also been introduced. In close cooperation with the leading research institute SIAF Davos and the “Hochgebirgsklinik Davos Wolfgang”, CK-CARE is building a globally unique center in this field, in which research, patient care, and education in the allergy field can ideally interact and be connected in the same area, as well as develop synergies. The Global Risk Forum GRF Davos was established in 2008. It promotes the worldwide exchange of know-how and expertise, creates solutions and fosters good practices in integrative risk management and climate change adaptation. GRF Davos aims at an improved understanding, assessment and management of disasters and risks that affect human safety, security, health, the environment, critical infrastructures, the economy and society at large. The Global Risk Forum Davos creates interaction between key players by connecting line ministries, disaster, risk and safety management authorities, academic institutions, practitioners, the private sector, practitioners, and the media together. The Swiss Institute of Allergy and Asthma Research (SIAF) arose as a department of the foundation Swiss Research Institutes for High Altitude Climate and Medicine Davos (SFI) in 1988. SIAF is an affiliated institute of the University of Zurich since 1996 and member of the Life Science Zurich Graduate School since 2007, a joint post graduate education program of the Swiss Federal Institute of Technology and the University of Zurich. SIAF members play leading roles in national and international organizations and in editorial boards and editorships of top Journals in the field of allergy, asthma and clinical immunology. At the same time, SIAF fulfills teaching obligations in the University of Zurich and the University of Salzburg. SIAF organizes the international World Immune Regulation Meeting (WIRM) every year in Davos, which is one of the most important meetings in its area in the world. The research activities at SIAF are focused on basic research in the field of allergies and asthma to develop approaches for new preventive and curative treatments for patients. 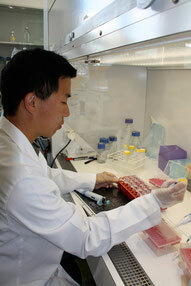 Human research has been pursued at the highest level with a main emphasis given on patient-relevant research. SIAF has a large impact in the field of allergies and asthma with more than than 40’000 citations to its over 800 publications. Since the Davos Physical Meteorological Observatory (PMOD) was established in 1907 it has conducted research on the influence of solar radiation on Earth's climate. It has been part of the "Swiss Research Institute for High Altitude Climate and Medicine" since 1926. In 1970, the World Meteorological Organization (WMO) and the Swiss Federal Council appointed the PMOD to establish and run the World Radiation Centre (WRC). The WRC maintains the primary standard for solar irradiation intensity which is measured with a group of absolute radiometers that serve as a world-wide reference for similar instruments. The WRC field of research was successively broadened to include calibration tasks in the infra-red, atmospheric spectral turbidity and the ultra-violet upon request of the WMO. The PMOD/WRC develops and manufactures various types of radiometers which are among the most precise of their type in the world, and are used for ground-based and space measurements. These instruments are also available for purchase, and are operated by many international meteorological institutes. 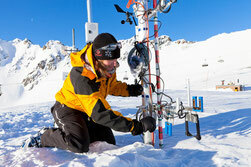 Ground-based and space measurements are used in research projects to study climate change and solar science. Research is conducted on a national level, especially with the ETH Zürich, as well as internationally. The WSL Institute for Snow and Avalanche Research SLF belongs to the Swiss Federal Institute for Forest, Snow and Landscape (WSL). WSL is part of the ETH Domain. 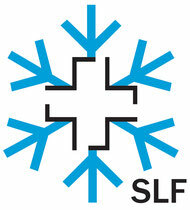 The SLF is located in Davos and employs 140 highly qualified researchers and technical staff from around the world. It engages in research, scientific services, teaching and public relations. The research focuses on snow, its interaction with the atmosphere, the formation, movement and impact of snow avalanches and other mass movements, avalanche mitigation in view of integrated risk management, permafrost and mountain ecosystems. In close connection with its research activities, the SLF also offers a range of services. These include consulting on avalanche accidents and avalanche protection measures, and the development of warning systems for natural hazards in the Alps. The best-known service is the avalanche bulletin for the Swiss Alps, which is published twice daily in wintertime. SLF employees also teach at ETH Zurich and EPFL, and various universities in Switzerland and abroad, and provide basic and further training for safety personnel. The SLF is also eager to share its knowledge with the general public. Its outreach activities focus on raising the public awareness of avalanches, but also include publishing articles, offering guided tours of the institute, and explaining research findings on radio and television. As a public acute-care hospital, we are responsible for the medical primary care in the hospital region Davos, ensuring the stationary and ambulatory acute-care of citizens and guests for 24 hours and 365 days. In the modern, newly renovated hospital, approximately 360 staff members work with the most recent diagnostic and therapy tools. Due to flexible decision structures, we continue developing. Innovation, pleasure in new challenges and team work are a daily philosophy at the hospital Davos. Partnerships with sports medicine organizations are a welcome supplement to the wholistic medical spectrum of the hospital Davos. The Kirchner Museum Davos offers visitors an extraordinary opportunity to experience works of Ernst Ludwig Kirchner in the very place they were created. Davos and its environs inspired him to produce a large number of major works. The collection now comprises over 1,500 of Kirchner’s paintings, sculptures, drawings, prints and textile works, and 160 sketchbooks.